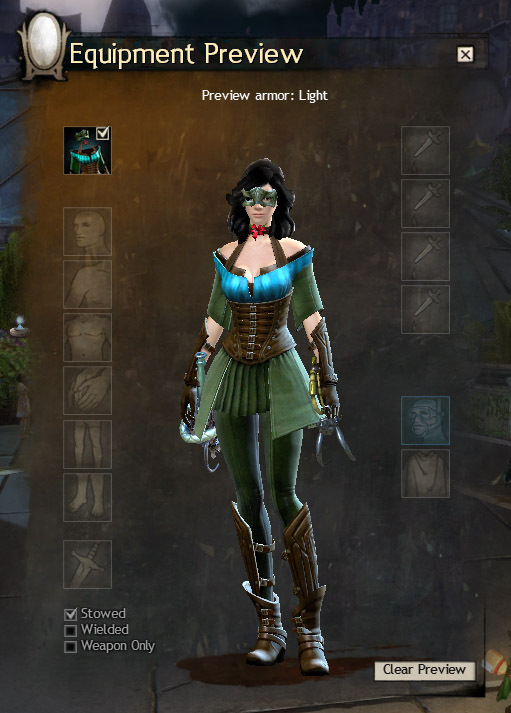 With yesterday's post I deliberately left out an outfit that judging by its name and GW1's history could've been an April Fool's item (and I don't want to spoil those things). But by the looks of it this wont be used today after all, enjoy! 1411798_0549 Created to honor Gwen Thackeray, commander of the Ebon Vanguard and founder of Ebonhawke.